We can clean just about anywhere and just about anything with our commercial pressure washing services in Leighton Buzzard! Anywhere there is dirt, grease and algae build up, we can remove it using our pressure washing and steam cleaning services. 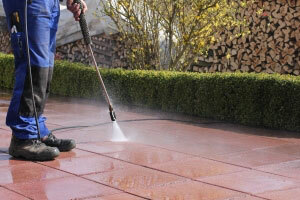 Our professional pressure washing service in Leighton Buzzard will clean and restore your Patio, decking, driveway, and any other surface you may have leaving them looking like new again. Using our industrial strength pressure washer system. All surfaces are finished to our usually high standards including re-sanding and sealing where needed. Let us help give your business a professional welcoming impression. A driveway that is dirty and unkempt says so much about you and the rest of the property. Using the latest equipment we are able to restore block paving, brick, concrete and almost any other hard surface to near original condition. We can also seal newly laid areas once they have bedded in. 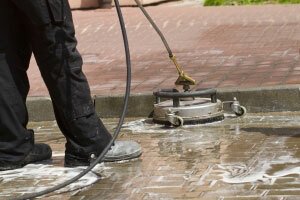 Here are some ideas of the other sort of areas that can benefit from our pressure washing services. Statues and monuments, shopping centres, car parks, tennis courts, swimming pools, loading bays, marinas, walls, fences, cladding, walkways, fascias, timber, most types of tone, play areas and many more.